The actor will be the face of an upcoming campaign for the iconic scent. Brad Pitt at the Oscars in February. Following in the footsteps of style icons like Nicole Kidman, Audrey Tatou, and even Coco Chanel herself, the new face of iconic fragrance Chanel No. 5 is officially Brad Pitt. Yes, that Brad Pitt. Yes, a man. Rumors of the partnership emerged earlier this week and were finally confirmed by an official press release and an official announcement on the brand's Twitter account. While details of the campaign itself have not yet been released, French Vogue makes the logical assumption that we can expect to see ads in the fall. The new appointment makes Pitt the fragrance's first-ever male spokesperson, a move that will likely raise more than a few eyebrows. Chanel No. 5 is, after all, one of the most iconic fragrances for women ever made, and tapping a man to front such a fragrance is a bold concept. Then again, Fashionista points out that the move could indicate Chanel's interest in expanding its existing portfolio of men's fragrances. 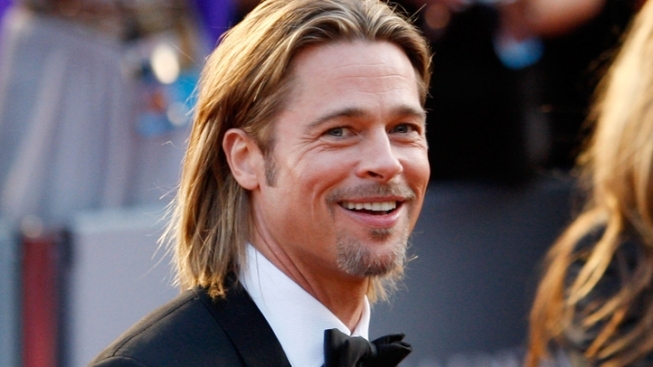 Regardless, the timing and publicity factor are pretty ripe: Pitt recently announced his engagement to longtime partner Angelina Jolie, and he is -- after all -- Brad Pitt.